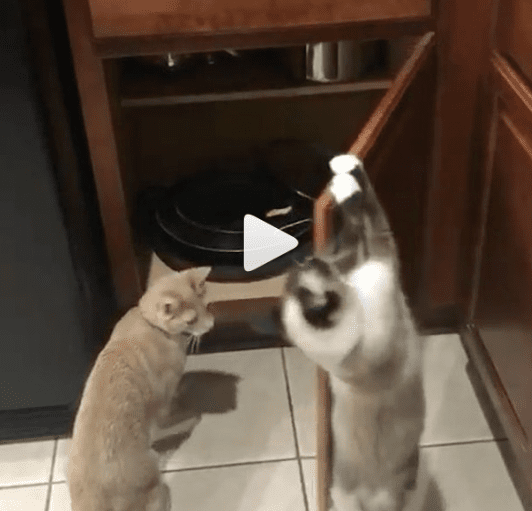 Two cats team up for mischief, one cat opens the cupboard door for the other to investigate. You have smart cats there, but I am most impressed with your NEAT and CLEAN cabinets! WOW!